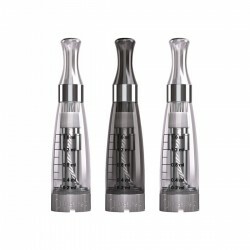 RECOMMENDED FOR USE IN SUB-OHM & RDA TANKS ONLY. 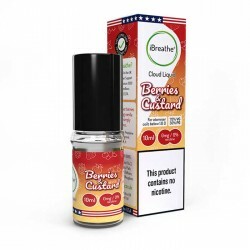 Berries & Custard 10ML - 70VG / 30PG - High VG E-Liquid Sweet summer berries and soothing va..
C1 E-Cigarette Tank (3 Pack) - Choose from 5 Available Colours. MIX AND MATCH The popular iBre..
10ml High PG E-Liquid - Cherry Mint Another new addition of our ICE Range of Electronic Cigarette..
Heisenberry 10ML - 50VG / 50PG - High VG E-Liquid Ripe blueberries infused with cinnamon and a ..
Red Ice 10ML - 70VG / 30PG - High VG E-Liquid Fresh Cherries with an icey blast exhale. RECOM.. Pink Lemon 10ML - 50VG / 50PG - High VG E-liquid A zingy and zesty lemon infused e-liquid for t..